Last week, Conservative Member of Parliament, Maxime Bernier posted a series of tweets on Twitter espousing his opposition to “extreme multiculturalism” and the “cult of diversity” in Canada. According to Bernier, diversity will “destroy” the cultural identity of Canada and worse, will result in “cultural balkanization” that leads to social conflict and even "violence". These tweets were not the usual fair commentary offered by elected officials on matters of public policy. No – there was something a bit more frantic, even desperate about these tweets. These tweets sounded like the rantings of a wayward politician who, having failed in all of his political endeavours to date, couldn’t think of any other way to get attention but to ride the populist white supremacy wave. If we are to understand Bernier’s Sunday night tweet rant better, we have to understand that Bernier is a failed politician. He was a separatist from Quebec who voted in the 1995 referendum for Quebec to separate from Canada, but that vote and his efforts, failed. He was later successful in being elected a Conservative MP from Beauce, Quebec and was even appointed Foreign Affairs Minister under former Prime Minister Stephen Harper. However, he was forced to resign in scandal when he left classified documents at his girlfriend’s place for nearly a month. After Harper’s Conservatives were devastated in the last election, giving Trudeau’s Liberals a majority government, Bernier ran for leadership of the Conservative party and lost to Andrew Scheer. Soon after, he released portions of a cry-all book about how he lost the leadership bid, but publication was halted. His own peers said this cry-all book was more about “sour grapes” from losing and his “vanity” and need for attention. Most recently, he was silently kicked from Scheer’s shadow cabinet. If ever there was a recipe for some hateful sour-grapes, this would be it. A failed separatist, Minister, leader, author and shadow cabinet member, Bernier clearly wants to make a name for himself in whatever way he can. We all know that Republican President Donald Trump’s sexist, racist, anti-immigrant fear-mongering seems to have appealed to the ultra right-wing and white supremacists in the USA. It also seemed to work for Conservative Ontario Premier Doug Ford, a “fiercely right-wing populist”, who won an election with a “take care of our own” attitude devoid of any substantive public policy - unless you include his buck-a-beer-for-all promise. It would seem that Bernier is once again suffering from sour grapes and has resorted to this hateful, racist rant against every other culture than his own people– the very people that seems to have rejected him. It is not the fault of new immigrants that Bernier’s own party have rejected him over and over. Nor can his misery be tied to the legal right of people from diverse cultures to enjoy their traditions in Canada. This is an example of popular white supremacism – the idea that people of other racial, ethnic or cultural backgrounds are inherently dangerous and should not mix with “old stock Canadians” - i.e. "white" Canadians. The difference between the white nationalism/supremacy of the past is that those who espouse these views today tend to do so in a less direct way under the guise of public policy debate. But his hatefulness doesn’t focus only on new immigrants. Several days later, he was also first in line on Twitter to trash the Trudeau government’s intention to create a statutory “holiday” in remembrance of the atrocities committed in residential schools. 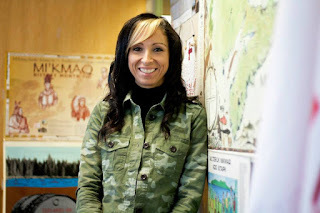 Despite this being 1 of the 94 Call to Action of the Truth and Reconciliation Commission and represents the wishes of many of the survivors, Bernier accused called this “another sick characteristic of extreme PC [political correctness] and multiculturalism”. To my mind, the wishes of the survivors should be paramount on the issue of whether there is a national day of remembrance. Bernier went on to categorize the day of remembrance as a “cult of victimhood and obsession with past wrongs”. I wonder if he would also apply this logic to Remembrance Day on November 11th, or any of the war memorials that exist in Canada? Somehow, I don’t think so. The whole point of national days of remembrance and memorials is to ensure that Canadians never forget the atrocities that happened. The idea is to honour those we have lost and make sure history never repeats itself. It is a concept shared by most nations around the world. Germany for example has taken great steps to not only erase any Nazi symbols from their society, but also create memorials to remember the many lives lost. 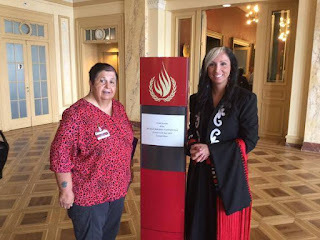 Here in Canada, we hope to have several national days of remembrance that include one for residential schools and memorials to lives lost, like murdered and missing Indigenous women. 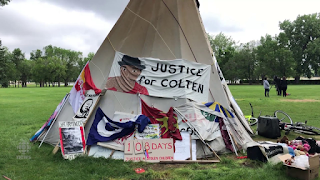 In recent months we have also been talking about how to deal with statues and other symbols of individuals who, despite being historic figures, were the perpetrators of a campaign of genocide against Indigenous peoples – like Sir John A. MacDonald. The TRC report confirmed that Canada engaged in all three types of genocide against Indigenous peoples – cultural, physical and biological. It is long past time that we talked about how to reflect history accurately and responsibly. Bernier’s Twitter rants about “extreme PC” couldn’t be further from the truth when it comes the ongoing legacy of injustice against Indigenous peoples in Canada. His Twitter tirades about immigrants who don’t share the same skin colour, religion or culture as him don’t reflect the laws of this country – Indigenous or Canadian. It’s highly ironic that Bernier would advocate against any more diverse immigrants while at the same time demand that Indigenous history be erased. I guess that is the privilege assumed by those whose ideas reflect and promote (directly or indirectly) white supremacy – as if anyone else is not only dangerous, but a threat to whiteness. While Bernier is only the most visible example of this kind of thinking, in fairness, he is not alone. Senator Lynn Beyak was booted from Conservative caucus after her racist postings about Indigenous peoples. Conservative MP Pierre Poillievre said racist remarks against residential school survivors on the same day as the apology. Former Conservative Indian Affairs Minister Bernard Valcourt regularly made racist comments against First Nations, at one point calling First Nation treaty Chiefs “threats to national security”. 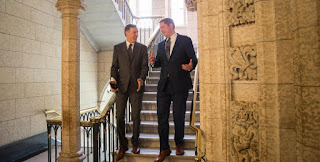 With regard to Bernier’s most recent comments, Conservative party leader Andrew Scheer has failed to specifically condone them, nor has he removed Bernier from the party – which he should do. This is not much of a surprise given the fact that Scheer’s own campaign manager was the founding director for Rebel Media which promotes white nationalism. In the end, the Conservative Party needs to be very clear with Canadians about their party and what it stands for today. Andrew Scheer and the party either stand wholly behind Bernier or they do not – there is no in between. 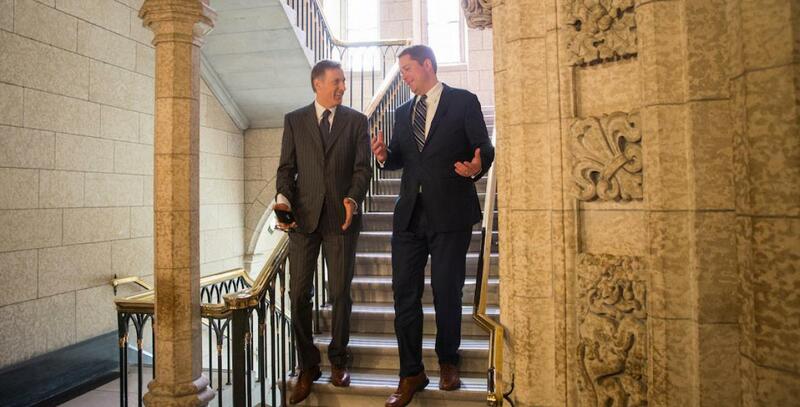 Right now, Scheer seems to stand more behind Bernier than not. It's Scheer's move now.